After nearly two and a half years of renovations, one of the most iconic places to visit in Colombo was the Colombo National Museum which was open to the public with a modern look into the past. The Colombo National Museum with its modern face lift was also known as the largest museum in Sri Lanka, re-opened to the public on February 6, 2017. The Museum also celebrated its 140 years on January 1, 2017. This 140 year old museum is surrounded by a well maintained compound of around seven acres. 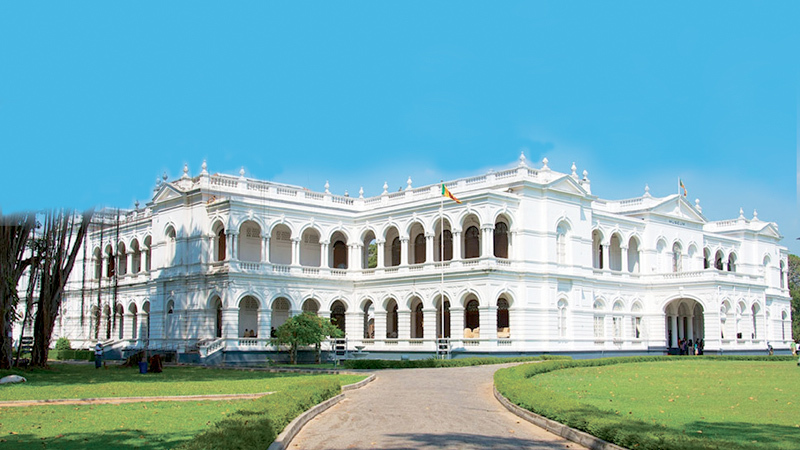 According to the Director of the Department of National Museums Sanuja Kasthuriarachchi, the Museum provides a unique experience of witnessing some of the greatest and ancient masterpieces of all time close up, while adding that it was a place closely entangled with history and culture of the country. “When you take South Asia, the old buildings were used as museums in later years. But the Colombo Museum is not so. Its founder Sir William Henry Gregory, was the British Governor of Sri Lanka at the time and he constructed the present building with the motive of establishing a museum and the national museum is something special,” she said. The Museum was established on January 1, 1877. With its development to international standards, it earned the status of a national museum during the period of Dr P. E. P. Deraniyagala, who was able to open up branch museums in Jaffna, Kandy and Ratnapura and a full-fledged Department of National Museums was established in 1942 under Act No. 31. The extension of the number of branch museums had now increased to nine, while a school science programmes and mobile services too are also in operation. This process had further been improved by the arrangement of the galleries on the ground floor in a historical sequence, while those of the upper galleries are on a thematic basis. The Museum’s architecture too is one of the best in South Asia. The museum was designed by famous architect J. P. Smither and opened in 1877. However, the people were some what outraged due to the Museum being closed for more than two years. It was a sorry sight for those travelling past the National Museum of Colombo. 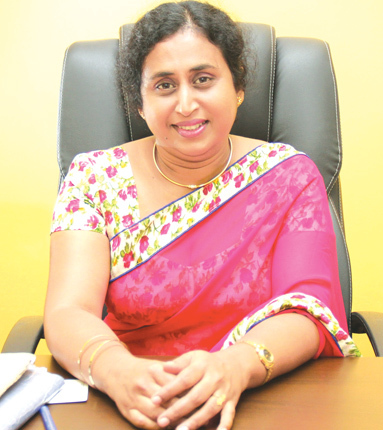 Kasthuriarachchi said many people started blaming the administration for closing it for nearly two years and even though it seemed to be in a good structural condition, it was not so. “We became aware of many problems and I feared to permit the students and public to enter those buildings. I saw that as a risk and every day was a challenge to me. Therefore, I consulted the Central Engineering Consultancy Bureau (CECB) and requested them to provide me with a report concerning the conditions of the building. Though there was a need for the place to be renovated, it did not take place for many years,” she said. She further said the CECB report pointed out that it was unsafe to permit the public to enter the second floor until it was renovated. “I immediately stopped people from going to the second floor and requested the CECB to provide me with an estimate for the renovation of the museum. The last two years was not easy for me. I had to ensure that the museum was in proper condition and I also came to understand that if something went wrong, I would be the only person to be blamed,” she said. Kasthuriarachchi added that the walls and the roofs were also damaged and needed immediate renovation. “I did not wish to go for a massive renovation. I always wanted to maintain the old architecture and ancient look. I also did not want to handover the project to contractors who would do it with the motive of making money. Therefore, I chose the Sri Lankan Army and I had a belief that they would undertake construction with passion. I was not wrong when I finally set my eyes on the renovated buildings,” she said. When the refurbishment was initiated, we realized that many things needed to be renovated, she added. She noted that if it was just construction of the buildings, it would not have been this difficult. Let it be the CECB, the Army or Museum officials, we wanted to preserve the architectural value of the building. Our estimated amount was 225 Million, but we were able to complete the full project with 200 Million,” she said. Kasthuriarachchi while speaking on the renovations at the museum, often repeated that it was no easy task, adding that she spent many sleepless nights worrying over the museum. “While the museum was under renovation, I always panicked when my phone rang while at home. The first time that the roof was taken off, I wondered if we would be able to do this. I spent hours looking at the sky and wondering how I was going to complete the work successfully,” she added. She said it was pleasing to say that everything had gone according to plan. “We presently have open doors to a venue which is well renovated, but still retains its grandeur. I think the people will stop blaming me after they witness the new form of the national museum, ” she said. She noted that the artifacts had been displayed close to international standards and that to ensure security, CCTV cameras have been fixed in all the buildings. Around 2,000 artifacts were on display at the opening of the Colombo Museum. Over the years, thousands more items of ancient cultural and heritage value had joined the collection. The two lower floors of the Museum houses artifacts periodwise, while the upper floor is divided subjectwise. There are 16 galleries in the museum. The ground floor consists of Pre and Proto Historic Period Gallery, Anuradhapura Period Gallery, Polonnaruwa Period Gallery, Transitional Period Gallery, Kandy Period Gallery and Stone Antiquities Gallery. The upper floor gallery arrangement consists of the Painting Gallery, Textile Gallery, Ceramic Gallery, Coins and Currency Gallery, Standards and Banners Gallery, Arts and Crafts Gallery, Arms and Armaments Gallery, Traditional Rituals Gallery Traditional Agriculture Gallery and Furniture Gallery (proposed). The Colombo National Museum is also linked with other museums in the country which falls under the Department of National Museums. These branch museums are the National Museum of natural history, Dutch Museum of Colombo, the National Museum in Kandy, the National Museum in Ratnapura, the National Museum in Galle, the Maritime Museum, Galle, the Folk Museum in Anuradhapura, the Independence Memorial Museum and the Magampura Ruhunu Heritage Museum. Kasthuriarachchi further said that Sri Lankan Museums was available an an app for Android users and it included the major museums in Sri Lanka Colombo National Museum, Magampura Ruhunu Heritage Museum, National Museum on Natural History and Dambana Museum. 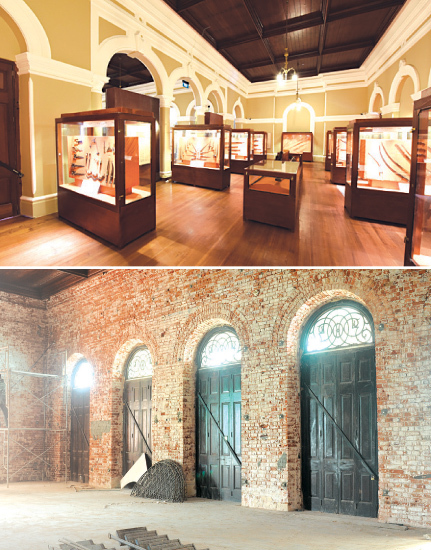 Sri Lanka Museums developed back in 2015 by the ICTA (Information and Communication Agency) and Arimac Lanka, was launched in tandem with the opening of the Magampura Ruhunu Heritage Museum by President Maithripala Sirisena. “Sri Lanka Museums the app is an informative source. It also provides all the information about the museum and all other relevant information. In this world of technology, it will be very useful for the public to know about the place before visiting it,” she said. The Colombo National Museum is also linked with other museums in the country which falls under the Department of National Museums. These branch museums are the National Museum of natural history, Dutch Museum of Colombo, the National Museum in Kandy, the National Museum in Ratnapura, the National Museum in Galle, the Maritime Museum, Galle, the Folk Museum in Anuradhapura, the Independence Memorial Museum and the Magampura Ruhunu Heritage Museum.